David Sprague first played football at Delta Collegiate in Hamilton. With teammate Huck Welch and coach Ben Simpson, it was no wonder that the team won national Interscholastic Honours in 1926 and 1927. Sprague played with great enthusiasm on the line and was a powerful running back. Despite numerous injuries, he was a Perennial All-Star who earned great respect from opponents. At 6 feet 5 inches, Sprague would run over tacklers and rumble down the field, gaining valuable yards for his team. 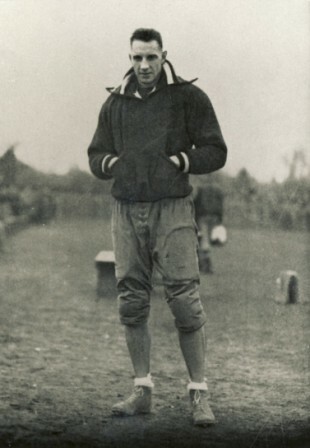 Both during, and following his playing days, Sprague successfully coached numerous teams to provincial and national championships. In 1984 David Sprague was elected to the Ottawa Sports Hall of Fame.